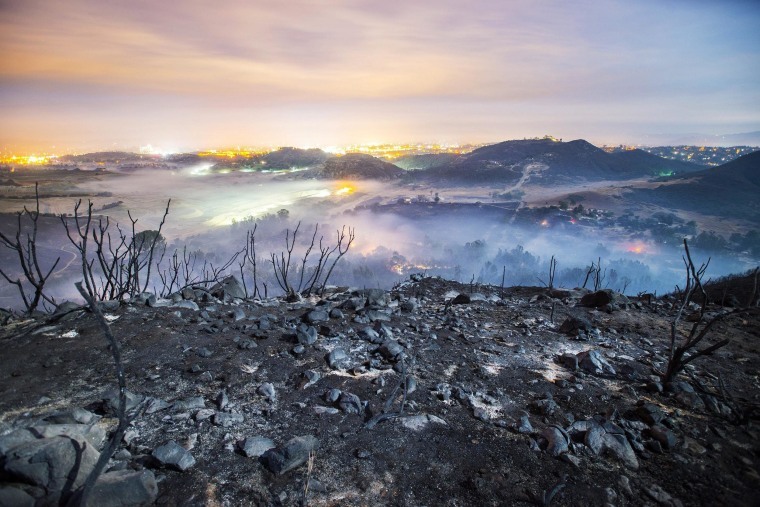 A longtime exposure shows the smoldering remains of overnight fires on the hillsides of San Marcos, Calif., on Friday. More than 1,000 firefighters battled a series of fast-moving southern California wildfires on May 15 that spread across roughly 20,000 acres. Huge clouds of black smoke hung over much of San Diego County, where the worst blazes were burning, driven by the blistering Santa Ana winds.